Intel announced yesterday that the introduction of its next-generation chips, codenamed Broadwell, will be delayed. 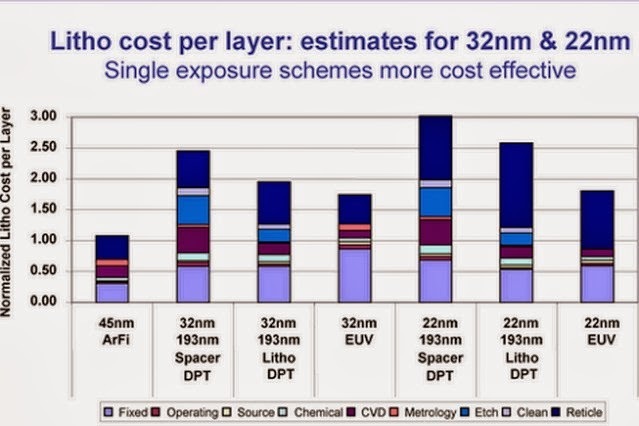 The company demoed the 14nm processors at IDF last month, and claims that the new chip can cut power consumption a further 30% below the reductions we saw with Haswell thanks to the move to 14nm process technology, down from 22nm. 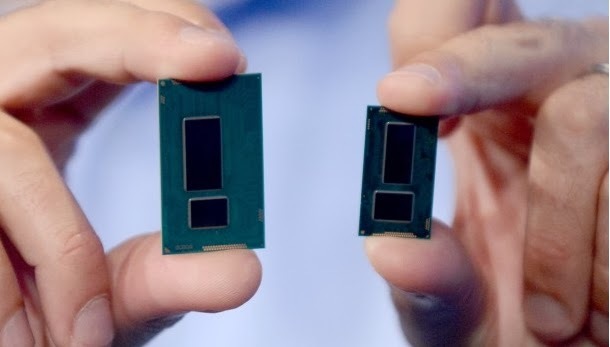 Broadwell is also set to be significantly smaller than Haswell - small enough to fit into tablets and form factors without requiring a fan, and supposedly incorporating a GPU that pushes performance up a further 40% over the current generation. 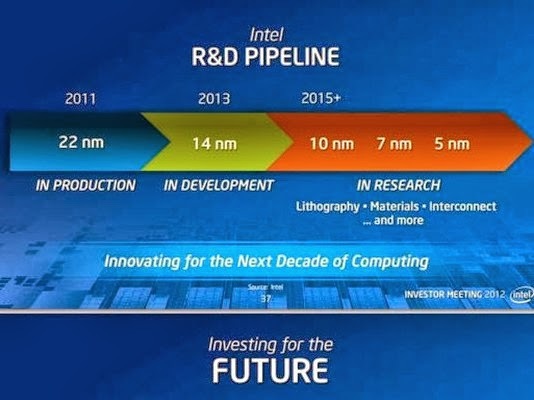 During its Q3 conference call, Intel CEO Brian Krzanich noted that the issues facing Broadwell are technical (as opposed to marketing related), saying “It was simply a defect density issue.” The chip will begin production in the first quarter of the year. Intel claims that it’s “comfortable” with yields, but is still baking in fixes and changes to the core to better improve its standing. This is unsurprising but what Intel dismisses as “just a defect density” issue is, in fact, profoundly at the heart of the problems facing modern semiconductor manufacturing. 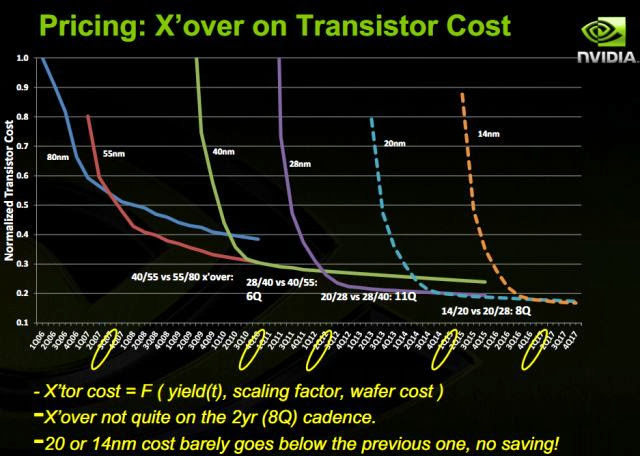 As semiconductor nodes shrink, the difficulty of building ever-smaller transistor layouts becomes increasingly acute. The shift to double patterning can increase defect densities on its own, the fundamental limitations of 192nm lithography are a constant pressure, and the need to ensure ever-higher levels of control over dopant distribution and voltage characteristics are slamming up against the fundamental limits of physical laws. Defect density is a metric that refers to how many defects are likely to be present per wafer of CPUs. Consider the impact of defects that cumulatively increase CPU TDP by 50%. A 50W-75W desktop chip now has a TDP of 75W-112W well within the cooling capabilities of a modern tower. A 17W laptop chip at +50% TDP can fit into any chassis capable of handling a 25W TDP. But a tablet chip, already borderline at 5W, may be pushed out of the space altogether if it hits the 7.5W mark. With Intel fighting hard to shake the perception of x86 chips as too power-hungry to fit into ARM-competitive form factors, it’s imperative that each generation of x86 processor deliver dividends on this front, even if it costs top-end performance, as it did with Haswell. GlobalFoundries hasn’t issued firm guidance on when it expects to start ramping 20nm, but 2014 is the generally accepted date, with the 14nm technology coming along 1-2 years thereafter as well. In both cases, slowdowns and delays could impact customers or the foundries themselves not because of any inherent flaw, but because the scaling has become so difficult. Moore’s law’s long-term prognosis may be gloomy, but there are still options for boosting enthusiast performance.